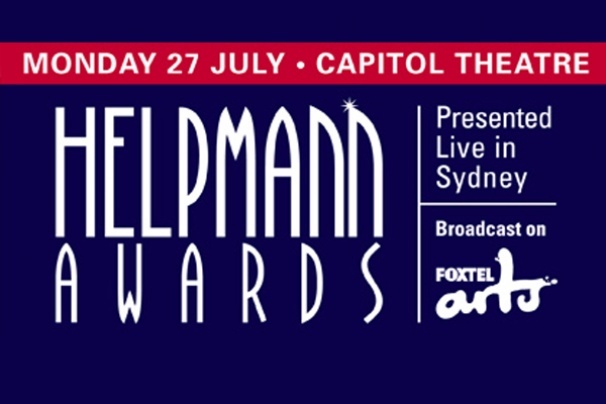 The winners of the 2015 Helpmann Awards were announced tonight in front of a full house at a star studded ceremony at Sydney’s Capitol Theatre hosted by Australian favourite, Todd McKenney. The 2015 Helpmann Awards celebrated the remarkable year the Australian live performance industry has had with presenters including Cate Blanchett, Danielle Cormack, and David Campbell honouring the year’s best achievements. Live Performance Australia (LPA) Chief Executive said the breadth of winners, nominees and performances at tonight’s ceremony highlights the world-class creative and artistic talent we have here in Australia. “The Helpmann Awards recognise the outstanding achievements of the many people whose skill, passion and commitment continues to put Australia on the world map for live performance excellence,” said Ms Richardson. Cameron Mackintosh’s Les Misérables, which received the most nominations in the 2015 Helpmann Awards took home an impressive 5 Helpmann Awards, including the hotly contended award for Best Musical. Other big winners on the night included Brisbane Baroque in association with QPAC’s Faramondo (5 Helpmann Awards) and The Rabbits (Opera Australia and Barking Gecko Theatre Company co-production in association with West Australian Opera, commissioned by Melbourne Festival and Perth International Arts Festival), which took out all 4 awards it was nominated for. NSW Deputy Premier and Minister for the Arts Troy Grant congratulated the winners and nominees, and commended the night’s performers and presenters. “Tonight’s Helpmann Awards was a fantastic opportunity to showcase the Australian live performance industry, and I congratulate everyone involved with the ceremony, especially the award winners. The NSW Government is proud have secured this event for Sydney,” Mr Grant said. In addition to the presentation of the Helpmann Awards, show highlights included Les Misérables opening the night, and a one-off and exclusive performance by the full cast of the Helpmann Award nominated Once. Helpmann Awards host, Todd McKenney brought the house down with a powerful performance of “I Am What I Am” from the Tony Award winning production of La Cage aux Folles and Victorian Opera’s Sweeney Todd took the audience on a dark and twisted musical experience. Clare Bowditch and the Paul Kelly Band also payed homage to this year’s JC Williamson Award® recipient, Paul Kelly, by performing his single from the 1995 acclaimed album of the same name, “Deeper Water”. Australia’s foremost illusionist, Cosentino – The Grand Illusionist brought some magic to the stage and a moving performance by the Australia Piano Quartet accompanied the In Memoriam segment of the show. Foxtel Arts subscribers are able to view an exclusive encore screening on Thursday 30 July at 9.40 pm and Saturday 1 August at 3 pm.